With your support, Side by Side has continued to grow and meet the evolving needs of Virginia’s LGBTQ+ youth. As we move into our 27th year, your support has ensured that as we receive more and more LGBTQ+ youth at Side by Side, we are able to provide them all with the support to define themselves and have a safe place to belong, and truly flourish. The bottom line is this: your continued support is allowing us to stretch deeper into the community by reaching more youth and training more professionals than ever before in Richmond, Charlottesville, and now in Petersburg High School. This year we’ve seen over 350 unique youth in support groups AND trained over 3,000 teachers, counselors, and youth service providers, including training for all sworn officers in Richmond City Police Department. Our work continues to be exceptionally effective: when surveyed, 87% of the youth have stated that our curriculum has significantly improved their daily lives and over 85% of training attendees have reported a substantial increase in their understanding of LGBTQ+ youth. You have allowed us to consistently deliver high quality programs to an increasingly diverse base of youth, families, and professionals across the commonwealth of Virginia, and we are poised to have an even greater impact in the year ahead with you by our side. The board, staff, and youth ask that you please consider making a year-end gift to Side by Side, to fund our upcoming efforts to effectively support more youth in their journey to flourish in our growing community base. P.S. Your help today will allow Side by Side to reach more youth, in more places, than ever before. Please renew your commitment to Side by Side today and ensure communities continue to grow to support LGBTQ+ youth in Central Virginia. This year we continue to see more youth and families reach out for support. 2017 saw attendance at all our youth support groups increase especially our LGBTQ+ and Transgender Youth support groups in Richmond who jumped from an average of 20-25 youth per week to 30-35 youth per week. 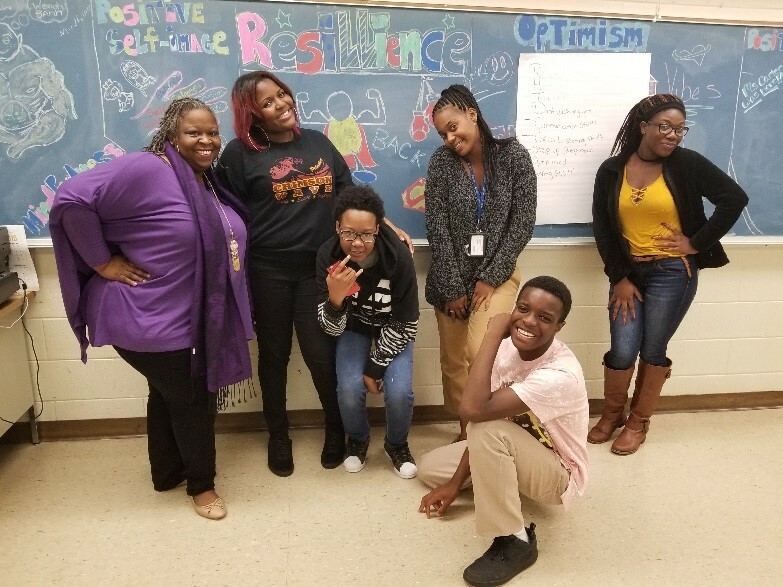 This past January, we launched our new LGBTQ+ Youth of Color Group with the Virginia Anti-Violence Project, to provide a space for youth to talk about the intersection of their sexual and gender identity with their racial and ethnic identity. Just this past month, Side by Side launched our LGBTQ+ Middle School Program in Charlottesville to support youth ages 11-14 and their parents. Middle school is a critical time for youth and we know LGBTQ+ youth often struggle during 6th-8th grade. We are thrilled to continue to expand our Middle School programming in the Charlottesville area this year. Side by Side Richmond added a second licensed counselor as Chevelle Moss-Savage joined our team to ensure LGBTQ+ youth get the mental health support they need to not only survive but thrive! We continue to see a significant growth in the number of schools, government agencies and youth-serving organizations that reach out to us for support in creating affirming environments for LGBTQ+ youth. From the Boy Scouts to the Virginia Education Association to the Episcopal Schools of Virginia, Side by Side continues to share our expertise throughout the Commonwealth. With your support, our trainings elevate the knowledge of Virginia’s non-profit and public-sector workforce, playing a significant role in affecting positive change – while continuing to shine a light on the issues that most affect our youth. The strained political environment over the past year has contributed to many difficult challenges for LGBTQ+ youth in our communities. We’ve seen an increase in anti-LGBTQ+ bullying in schools and many youth share heartbreaking stories of the scary realities the national anti-LGBTQ+ rhetoric has on their lives. A recent Side by Side survey found 70% of our youth are actively suicidal, an increase of 11% from last year. The election just weeks ago saw the first openly transgender woman Danica Roem and first openly lesbian woman Dawn Adams join Virginia’s General Assembly. This watershed moment gave many LGBTQ+ youth in Virginia and beyond, hope that they too can define who they are, belong and flourish, even to the point of helping to change the laws in their state. Youth at our Transgender support group sent Delegate-Elect Roem letters of support this month thanking her for her courage. Delegates-Elect Roem and Adams gave hope to our youth during these rather challenging times. Knowing that people like you have their back and support programs like Side by Side make a difference. Thank you for your support!